“What you see is all there is” – this is a biased perception of the world surrounding us, as pointed out by Daniel Kahneman in his brilliant book “Thinking, fast and slow”. Let’s explore this bias as and its implications on the world of IT governance models and frameworks. 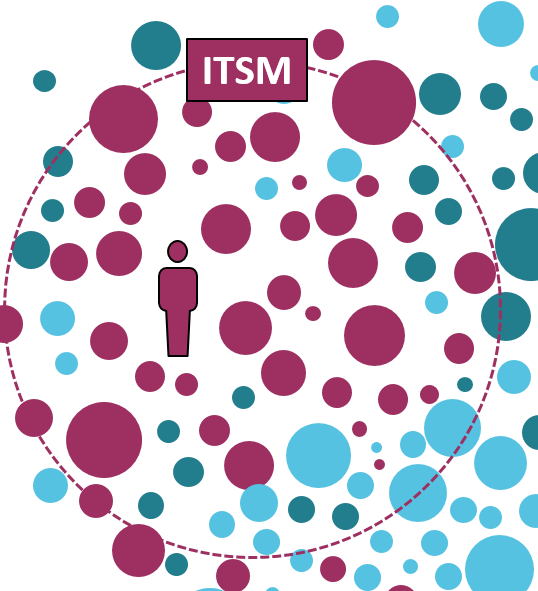 Roots of ITSM are in 90’s when authors, dominantly coming from the world of external service providers collated a body of knowledge driven by service economy principles. Taking inspirations from airlines, telecoms and banks, and a new paradigm was created for that time, represented by the belief “every IT organization should act as a service provider”. Every IT department should create a service catalogue, define SLA’s, define charging models and start managing with an “us” (service provider) and “them” (user, customer) logic. Airlines are here to generate profit over customers, so service management practices developed for external service providers makes a lot of sense as there is an economic transaction, having a single point of contact make perfect sense for the traveller as they need to know where to send inquiries. Any interaction with the customer needs to be recorded to preserve evidence for billing and resolve potential disputes between the client and service provider. This logic works well for IT organizations which act also as a service centre i.e. shared IT service centres, or fully outsources IT, when IT is a separated legal entity, selling its services to its mother organization or to other companies. IT is separating themselves from their colleagues behind SPOC, service catalogue, SLA’s and reports. Resource consumption for administration is increased as additional bureaucracy is created and this increased bureaucracy is not measured. IT starts to be seen as costs saving department where efficiency is prioritized over innovations. Digital transformation is becoming the agenda for anyone but IT which presented themselves as a service provider. Follow Q4IT on Linkedin or @Q4IT_eu on twitter for the next part of this exploration to be posted soon.